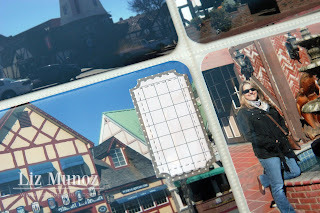 Liz's Paper Loft: Happy Earth Day Scrapping the Little Things ~ Solvang! Happy Earth Day Scrapping the Little Things ~ Solvang! This layout is from a quick trip that I took in February. On the way home from San Diego we stopped in the cute little Dutch town of Solvang and the beach. 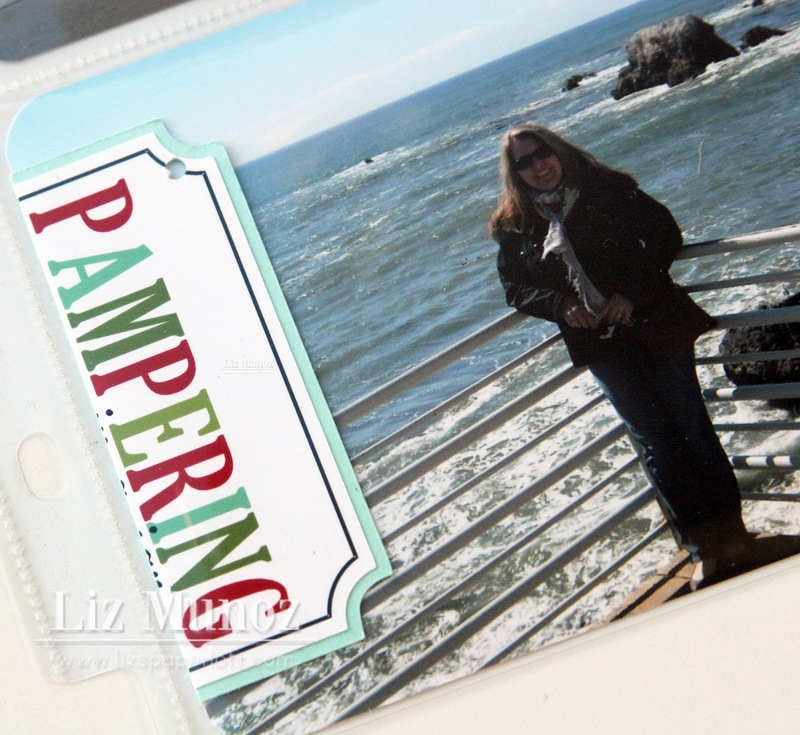 This trip was truly "pampering" so her sweet tag was the PERFECT recycled item to use! Gosh your LO is awesome boy oh boy what a sight to see unbelievable. You did a great job. Love how you used Emma's dies you sure used a ton of them so thanks for showing how it all works. Love it! I recognized it as soon as I saw it on Emma's blog; made me smile! Awesome PL layout! I love how you used the ticket dies, and my favorite is the "Celebrate" card. Adorable! Super cute! Love all the detail and the great pics on your layout! Perfect idea to use a pretty tag in a layout. Great use for the pretty things we can't just throw away. Great layout. Gorgeous layout! What a gorgeous place to visit! Your pictures are awesome and love all the My Creative Times dies you used! Looks GREAT! Liz ~ Well this is seriously FABULOUS! I LOVE every single element you added to your layout! 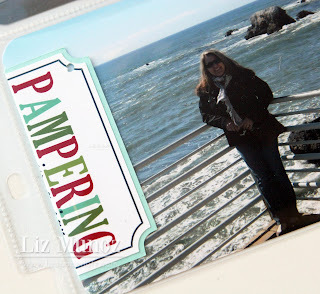 LOVE how you used the dies ~ so many different ways! What AWESOME pictures to use too ~ you guys seemed to have an AWESOME time of this trip!I am sure you friend noticed it! LOL Also you getting caught up on your scrapbooking~ you better ~ heard there is a Wedding you will need to do soon! Just sayin! LOL! BEAUTIFULLY done as always!